Dilip B. Bhosale, J. 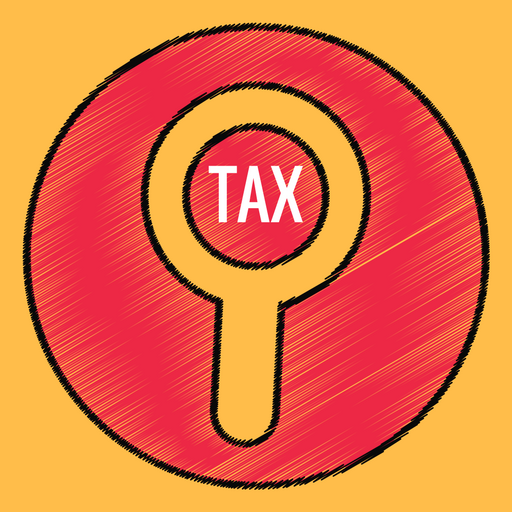 – This income-tax appeal is preferred by the Revenue against the common order dated January 31, 2007, passed by the Income-tax Appellate Tribunal, Bangalore Bench “B” (for short “the Tribunal”) in I. T. A. No. 73 of 2005 and I. T. A. No. 94 of 2005 pertaining to the assessment year 1999-2000. In the present case, we are concerned only with the order in I. T. A. No. 73 of 2005. The Tribunal partly allowed the appeal filed by the Revenue. The appeal before the Tribunal was directed against the order dated November 3, 2004, passed by the Commissioner of Income-tax (Appeals) (for short “the appellate authority”) whereby the appellate authority set aside the order dated July 30, 2004, passed by the Assessing Officer under section 143(3) read with section 263 of the Income-tax Act, 1961 (for short “the Act”). 2. We have heard the learned counsel for the parties for some time and with their assistance, gone through the orders passed by the Tribunal and the authorities below. “1. Whether, the Tribunal was correct in dismissing the appeal of the Revenue, for want of permission from the COD and not recording a finding for subsequent restoration of appeal on receipt of the COD’s approval on the issue of restricting the disallowance of expenditure under section 14A to 2 per cent. of the dividend income through such permission was allowed by the COD in the assessee’s own case in this issue for the assessment year 2004-05 ? 2. Whether the Tribunal was correct in upholding the order of the Commissioner of Income-tax (Appeals) deleting the addition made on account of disallowance of claim of ‘bad and doubtful debts’ having regard to the provisions of Explanation to clause (vii) read with clause (viia) of section 36(1) of the Act ? 3. Whether the Tribunal was correct in upholding the order of the Commissioner of Income-tax (Appeals) deleting the addition on account of accrued interest for the broken period when a similar claim for expenditure towards interest payable on the fixed deposits stands claimed and allowed while computing the income of the assessee ? 4. It appears, for the assessment year 1999-2000, the respondent-assessee, i.e., Canara Bank, filed a return of income on December 30, 1999. After processing the return under section 143(1)(a) of the Act, the case was selected for scrutiny and an order under section 143(3) was passed on March 28, 2002. Consequently, an order under section 263 was passed by the Commissioner of Income-tax, Bangalore, dated October 10, 2002. As per this order, the assessment under section 143(3) was set aside and the Assessing Officer was directed to redo the assessment on certain points indicated therein. Accordingly, notice under section 142(1) was issued to the assessee calling for specific details on the issues that find place in the order dated October 10, 2002, passed by the Commissioner of Income-tax, Bangalore, under section 263 of the Act. It is in this backdrop, the matter once again travelled before the Assessing Officer, the first appellate authority and then the Tribunal. The Revenue having lost before the first appellate authority and the Tribunal is before this court in appeal under section 260A of the Act raising the aforementioned substantial questions of law. 5. In so far as the first substantial question of law is concerned, there does not appear to be any dispute that during the pendency of the appeal before the Tribunal, the Committee on Disputes (for short “the COD”) refused permission to file an appeal before the Tribunal and, hence, this question has rendered infructuous. As a matter of fact, even before the decision of the Committee was communicated to the Tribunal, the Tribunal had dismissed the appeal. Mr. K. V. Aravind, learned counsel appearing for the Revenue, therefore, could not and did not press the first substantial question of law any further and, hence, it is not answered. 7. The issue was, however, not answered by the Commissioner and he simply recorded that “the issue is treated as dropped after considering the assessee’s submissions”. There does not appear to be any dispute that the question of disallowance of bad debts was already concluded, vide order dated March 28, 2002, passed by the Assessing Officer under section 143(3) of the Act. Though the order of the Assessing Officer dated March 28, 2002, was challenged in an appeal by the assessee bearing Appeal No. 550/ R/11/CIT(A)-I/02-03, the appeal was dismissed as infructuous. According to the learned counsel appearing for the assessee, the said order was passed by the appellate authority in view of the order dated October 10, 2003, passed by the Commissioner in the revision under section 263 of the Act. It was not pointed out to the appellate authority which was dealing with the appeal against the order dated March 28, 2002, that issue No. 5, as aforementioned, was not answered and it was simply dropped after considering the assessee’s submissions. Despite this, after the order of the Assessing Officer in pursuance of the order dated October 10, 2003, was passed under section 263 of the Act. The assessee filed an appeal before the first appellate authority raising the issue of disallowance of bad debts and that issue was considered by the first appellate authority on the merits and decided against the Revenue. Against that order, the Revenue filed an appeal before the Tribunal and the Tribunal also confirmed the order passed by the appellate authority. In view of this, Mr. K. V. Aravind, learned counsel for the Revenue submitted that it was not open to the assessee to raise an issue of disallowance of bad debts before the first appellate authority arising from the order of assessment passed after the order dated October 10, 2003, passed by the Commissioner in revision under section 263 of the Act. In other words, he submitted that the order dated March 28, 2002, had attained finality, and, therefore, it was not open to the appellate authority to consider the issue of disallowance of bad debts and allow the appeal. This position, though has not been disputed by the learned counsel appearing for the respondent-assessee, he submitted that he has no objection for remand of the matter to the first appellate authority to consider the issue of disallowance of bad debts afresh including the contentions urged by Mr. K. V. Aravind, learned counsel for the Revenue before us and as recorded in this order. We are saying so in view of the fact that when the Revenue filed an appeal against the order of the first appellate authority before the Tribunal, they had raised the issue as raised before us in the present appeal and before the Tribunal they challenged the order of the first appellate authority in respect of the disallowance of bad debts on the merits. It is in this backdrop this substantial question of law needs to be remanded to the first appellate authority to consider it afresh. Order accordingly. 8. We keep all the contentions of the parties open to be raised before the first appellate authority on this question. “2. Instances have come to notice wherein a few PSUs/departments have approached tribunals/courts to reopen the cases in which permission to litigate was denied by CoD. In a few cases, public sector undertaking/Departments have filed petitions in the High Courts. In an isolated case, a special leave petition (SLP) has also been filed in the hon’ble Supreme Court by an organization against the High Court decision seeking clarification of the order dated February 17, 2011, of the hon’ble Supreme Court, although the High Court had declined to reopen the case. 10. In view of the contents of the official memorandum, in our opinion, this issue stands concluded. Order accordingly. 11. In so far as the last substantial question of law is concerned, it appears that the Tribunal dismissed the appeal of the Revenue on the assumption that permission was refused by the COD and, therefore, the Tribunal did not record any finding on the merits of the case and the Tribunal dismissed the appeal without reserving liberty to the Revenue to file a fresh appeal after obtaining permission of the COD. He submits that, as a matter of fact, permission was not refused by the COD as recorded by the Tribunal in its order, but the subject was simply deferred as per the proceedings dated August 1, 2006. In the year 2008, vide proceedings dated March 4, 2008, the COD had granted permission to the Revenue to raise the said issue before this court in the present appeal. It is an admitted position that subsequently, the COD granted permission to file an appeal before this court against the order of the Tribunal on the same issue and, therefore, we are of the opinion that this issue can also be remanded to the Tribunal for deciding it afresh on the merits. Order accordingly. 12. With these observations, the appeal is disposed of. No costs. This entry was posted in Sec. 36(1)(vii), Section 263 and tagged 363 ITR, In favour of Matter remanded, Karnataka High Court.